Mothers Day Off! Let us do the cooking! 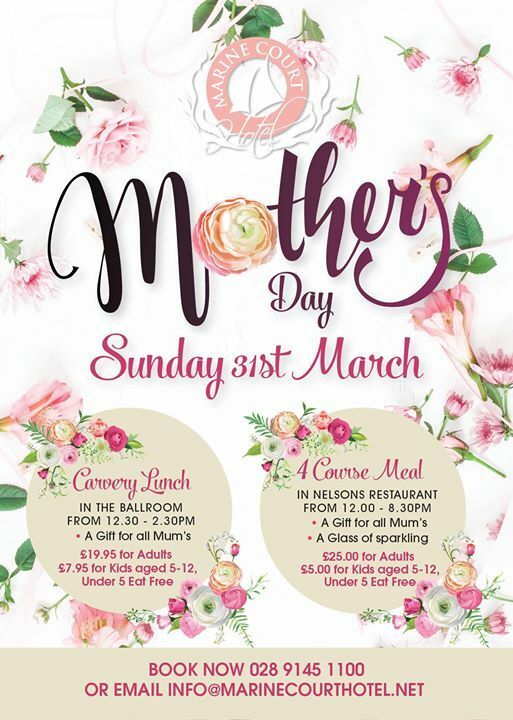 Treat your Mum to a delicious 3 course Carvery Lunch served in our newly refurbished ballroom from 12.30pm-2.30pm with a special gift for all the Mum’s. 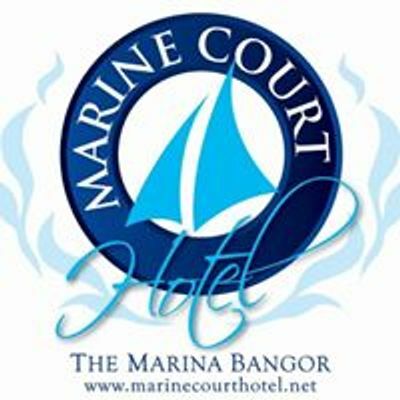 Adults £19.95, Kids 5-12 year £7.95, Kids under 5 Eat Free. 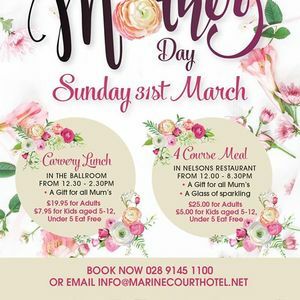 You might prefer to dine in our Restaurant serving from 12.00noon-8.30pm, 4 course Table D’Hote Menu, a glass of Sparkling Wine on arrival and a special gift for all Mum’s.